Examines factors that lead to desirable outcomes in mental health consultation programs: solid program infrastructure, highly qualified consultants, and quality support services. 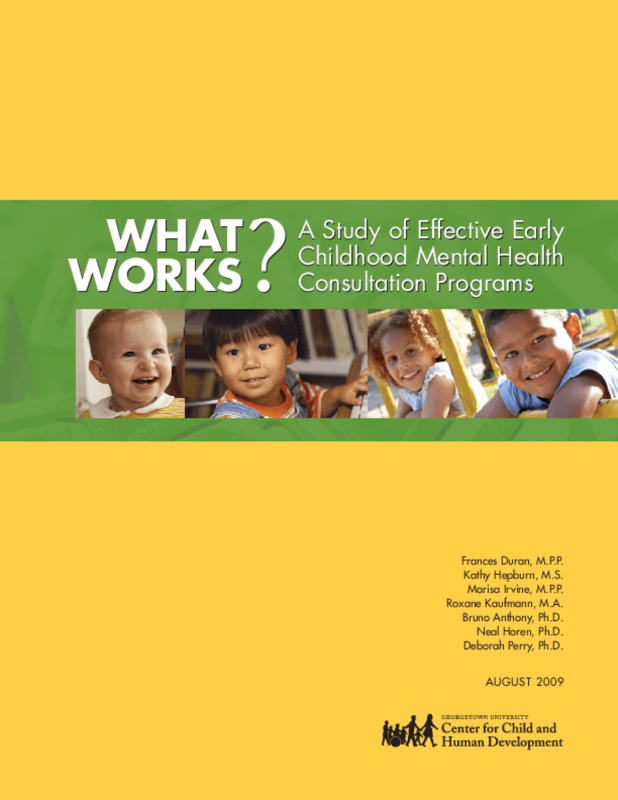 Analyzes targeted outcomes, measurements, and intensity of interventions. Copyright 2009 Georgetown University Center for Child and Human Development.